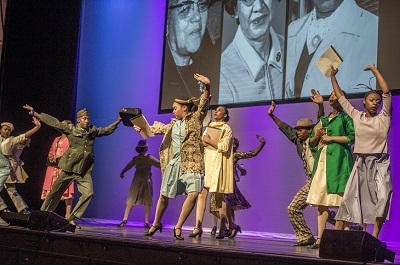 The meeting opened with a spectacular performance by Tri-C Creative Arts Dance Academy students titled “Hidden,” and based on Margot Lee Shetterly’s “Hidden Figures,” our 2017 Anisfield-Wolf Book Award winner for nonfiction. We’re proud to have supported Creative Arts Dance Academy programming with a grant earlier this year, part of our Mastery Arts Initiative. You can see the full performance of “Hidden” at the academy’s spring dance concert May 19 – 20! Details and tickets here. 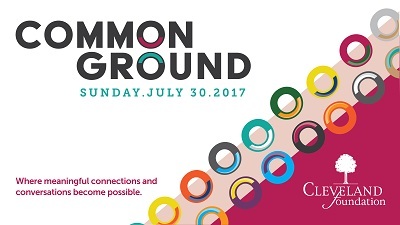 At the meeting we announced the launch of Common Ground, a county-wide community conversation event that will take place July 30. 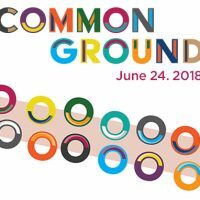 Along with many partners, we are bringing Cuyahoga County residents together this summer for mealtime discussions at Public Square and across the community. Residents will share ideas about how to move Greater Cleveland forward. Learn more here, and stay tuned for free registration details, including all the locations across our community where you can take a seat. 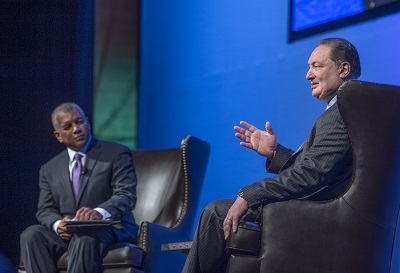 Our President and CEO Ronn Richard delivered his State of the Community address in conversation with Russ Mitchell, Managing Editor and Lead Anchor, Evening News, WKYC Channel 3. Ronn delved into community priorities ranging from education and the arts to employment and neighborhoods. He urged the audience to give back to the community by donating time, talent and treasure. For those looking to give their time and talent, Ronn mentioned opportunities to get involved with our Encore Cleveland program and True2U mentoring initiative. India Pierce Lee, our Senior Vice President, Program, presented the 2017 Homer C. Wadsworth Award to Phyllis “Seven” Harris, Executive Director of the Lesbian, Gay, Bisexual, Transgender Community Center of Greater Cleveland. 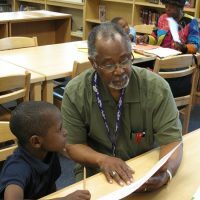 Every year, we honor someone with courage, bright ideas, and passion– the qualities that defined Homer Wadsworth, the executive director of the foundation from 1974 to 1983. 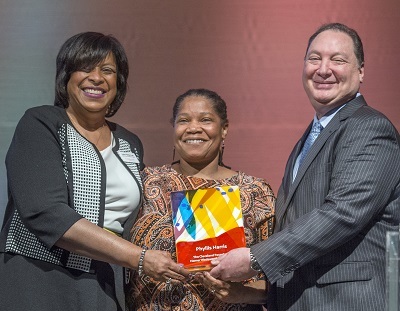 Phyllis won for more than two decades of work to improve people’s lives throughout the region, most recently at the Center to expand its programming, staff, and community collaborations. Learn more about Phyllis and our Wadsworth Award right here. Steve is the co-founder of America Online (AOL) and is currently the Chairman and CEO of Revolution, LLC, a Washington, DC-based investment firm he co-founded in 2005, where he partners with visionary entrepreneurs to build businesses. 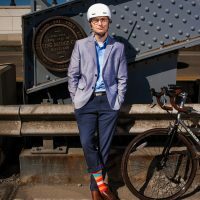 He’s also the Chairman of the Case Foundation, which invests in organizations, initiatives and partnerships where innovation is needed to address urgent social challenges. 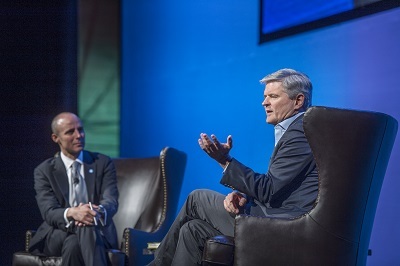 Steve spoke in conversation with Dan Moulthrop, president and CEO of The City Club of Cleveland, providing important insight on the role technology and philanthropy can play in building a more vibrant and connected community—locally, nationally and globally. Live from the Cleveland Foundation Annual Meeting, approximately 170 organizational fund partners were recognized during a presentation by Kaye M. Ridolfi, Cleveland Foundation Senior Vice President of Advancement. 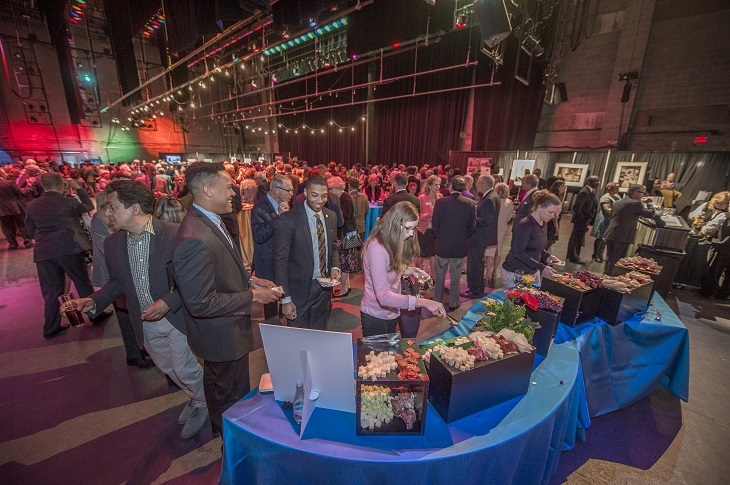 These nonprofit organizations have taken the important step of establishing funds with the Cleveland Foundation to support their long-term mission, enhance our nonprofit landscape and present numerous giving opportunities for caring donors. Learn more about how an organizational fund can strengthen a nonprofit you believe in, and consider making a contribution by giving online. 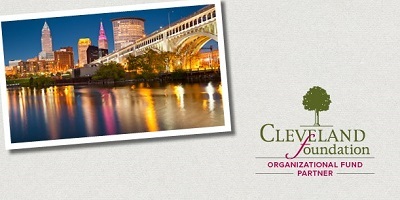 Follow #CLEFund for Organizational Fund Partner Appreciation Week social media! We’re thrilled to announce a partnership with JumpStart to create the JumpStart Future Fund, a new organizational philanthropic fund of the Cleveland Foundation! The JumpStart Future Fund will support JumpStart priorities and philanthropic initiatives that unlock the full potential of diverse and ambitious entrepreneurs to economically transform our community. Learn more about the fund, announced at our Annual Meeting, here. The annual meeting program closed with Verb Ballets’ performance of the Don Quixote Grand Pas de Deux, staged by Creative Fusion Cuban artist Laura Alonso. Guests also received copies of the Collective Arts Network Journal, which detailed the partnership. Learn more about Creative Fusion: Cuba Edition here.